Within the health care arena, every legal matter comes with layers of regulatory and compliance issues that must be addressed. Failure to do so could lead to serious repercussions, so it is critical to choose an attorney who is well-versed in the broad array of laws and regulations that apply specifically to practices, facilities, businesses and professionals in the health care field. At Daniels, Porco & Lusardi, LLP, we offer decades of health law experience. 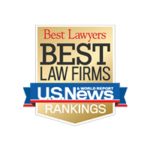 We are included in U.S. News & World Report’s 2015 List of Best Law Firms in health care law (U.S. News & World Report Health Care Tier1 New York City 2015). We have handled hundreds of transactions, disputes and regulatory and compliance matters for doctors, private practices, hospitals, ambulatory surgery centers (ASC), diagnostic and treatment centers, imaging centers, nursing homes, home health care agencies, health care billing and management companies and other health care facilities and professionals. 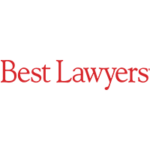 Our lawyers provide general counsel services for many such facilities, practices, businesses and professionals. In addition to our knowledge of business and corporate law, we have demonstrated aptitude in industry-specific laws and regulations such as the federal anti-kickback statute, the Stark law, Medicare and Medicaid laws and regulations, the Health Insurance Portability and Accountability Act (HIPAA), the Affordable Care Act, the False Claims Act, IRS intermediate sanctions legislation and other state and federal laws which regulate health care providers. From protecting health care industry clients who are being questioned or investigated to advising about compliance with health care laws during transactions to proactively assessing and eliminating risk of future compliance issues, we are prepared to meet all our clients’ needs. We represent hospitals, physician practices, ambulatory surgery centers, nursing homes, diagnostic and treatment centers, physicians, physician assistants, licensed nurse practitioners, physical therapists, occupational therapists, speech pathologists, psychologists, social workers and other medical professionals in professional disciplinary matters, claims of discrimination, claims of unprofessional medical conduct, and Medicare, Medicaid and third-party payer billing, reimbursement and compliance issues. 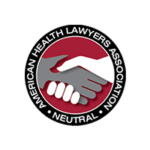 We are well-versed in the state and federal laws, regulation and guidance relating to corporate practice of medicine, fee-splitting issues. Our goal is to protect our clients’ ongoing operations, licenses and careers. We assist hospitals, physician practices, ambulatory surgery centers, nursing homes, diagnostic and treatment centers, physicians, physician assistants, licensed nurse practitioners, physical therapists, occupational therapists, speech pathologists, psychologists, social workers, nurses and other medical professionals with the day-to-day transactional issues they face. We represent employers or physicians when physicians are affiliating with other practices, joining as partners or joining as employees. We provide formation and restructuring legal advice and services for our health care clients, including negotiation and implementation of affiliation agreements, joinder agreements, mergers, consolidations, practice or facility asset and/or stock sales and practice integration agreements. We can also create succession plans. We draft, review and negotiate health care contracts of all kinds, including managed care, operating, shareholder, resources, partnership, business associate, consulting, administrative, management, information technology, work for hire, confidentiality, stock purchase, membership purchase, license, lease and vendor agreements. Our litigation team is prepared to resolve any type of dispute that may arise for a health care professional or business. From allegations of breach of contract to shareholder, membership, board and/or employee disputes to disputes between managed care payers (including Medicare and Medicaid) and providers, we marshal our knowledge and resources to ensure that our clients are protected every step of the way. We recognize that moving a case quickly to reach a timely resolution to legal matters is necessary to ensure continuation of business. Our services are available in the Hudson Valley and throughout New York and Connecticut. Call our office at 845-350-2837. You can also contact us by email.